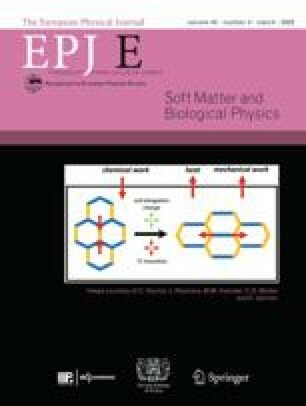 The motion of a single rigid or elastic particle inside a corrugated narrow channel is investigated by means of Brownian dynamics simulations. Periodic oscillations of one of the asymmetric channel surfaces induce directed particle transport. For different surface structures of the resting channel surface, we determine optimal transport properties in terms of the driving frequency, particle size, and corrugation amplitude. 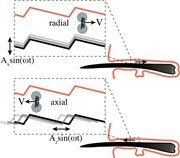 The transport direction is changed when switching from perpendicular motion of the oscillating surface to parallel motion with respect to the resting surface, which can be rationalized by a transition from a flashing to a pushing ratchet effect. We also study the diffusion behavior and find strongly enhanced diffusion for parallel oscillatory motion with a diffusivity significantly larger than for free diffusion. Elastic large particles exhibit suppressed transport with increasing rigidity. In contrast, for small particles, increasing rigidity enhances the particle transport both in terms of particle velocity and diffusivity.